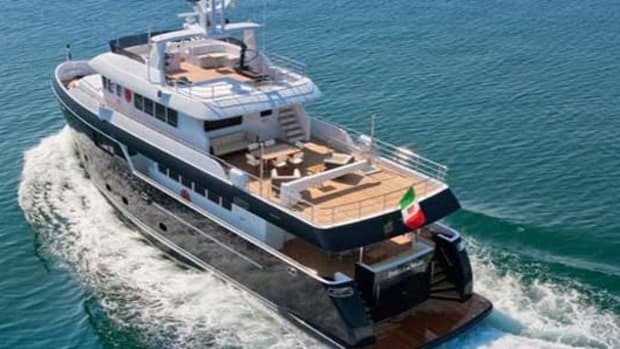 IF YOU LIKE THE IDEA OF A SUPERYACHT, BUT YOU'VE NOWHERE TO PUT ONE, you should maybe have a word with Cantiere delle Marche. 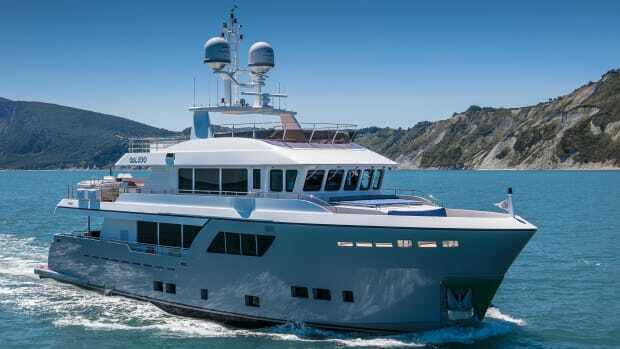 The Ancona, Italy, shipyard’s Darwin range might look like it’s cashing in on the explorer trend, but there is a lot more to it than that. 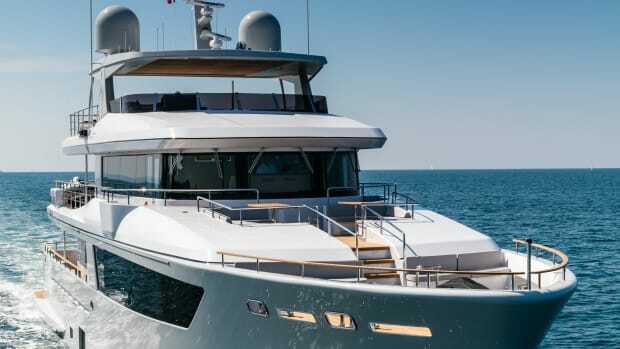 The Darwin 96 from Italy&apos;s Cantiere delle Marche hits a sweet spot in size, amenities and range. 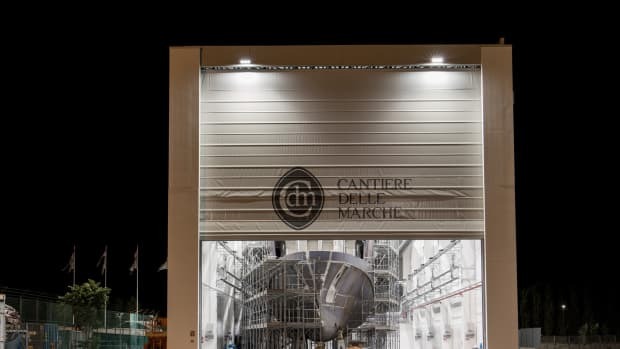 IF YOU LIKE THE IDEA OF A SUPERYACHT, BUT YOU&apos;VE NOWHERE TO PUT ONE, you should maybe have a word with Cantiere delle Marche. 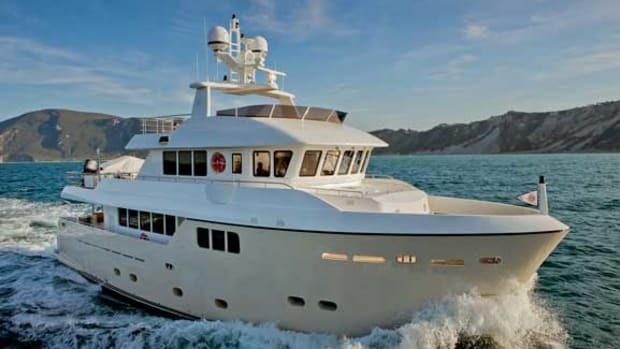 The Ancona, Italy, shipyard’s Darwin range might look like it’s cashing in on the explorer trend, but there is a lot more to it than that. In fact, it’s a concept that seeks to marry the superyacht values of high-quality fit-out, bespoke interior design and onboard space with the practicalities of a go-anywhere boat. And by go-anywhere they mean just that: tough enough to cruise Alaska and the Chilean fjords if that’s what you want, but small enough to find a berth in your local yacht harbor. It’s a question not just of priorities, but of balance. 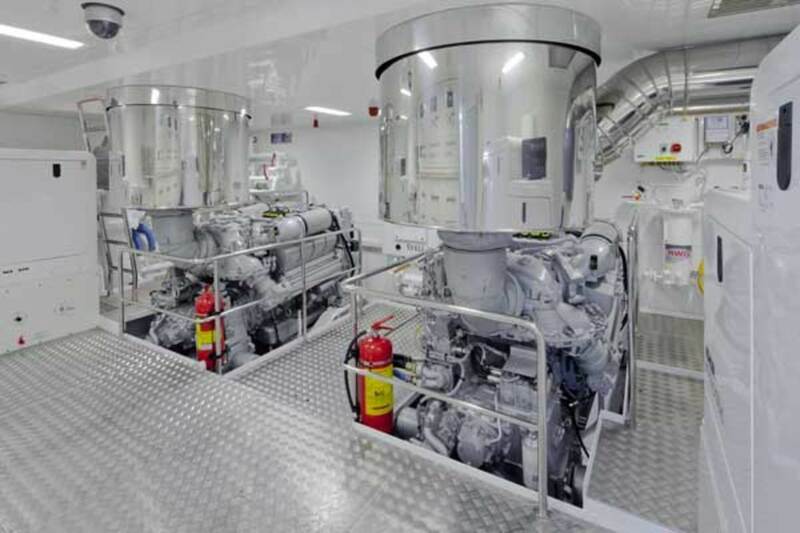 The shipyard’s first project, two years ago, set the benchmark. 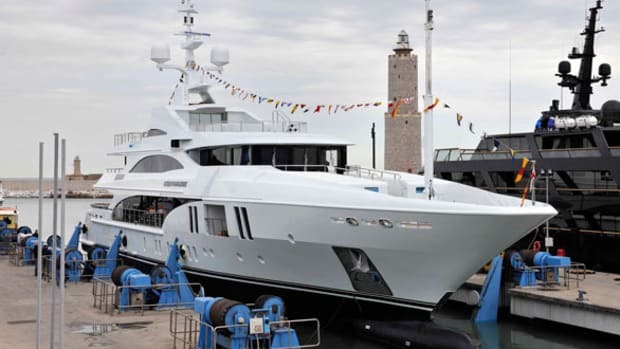 Now, the beamy and voluminous 86 has a bigger brother, the Darwin 96, unveiled at last September’s Cannes boat show. 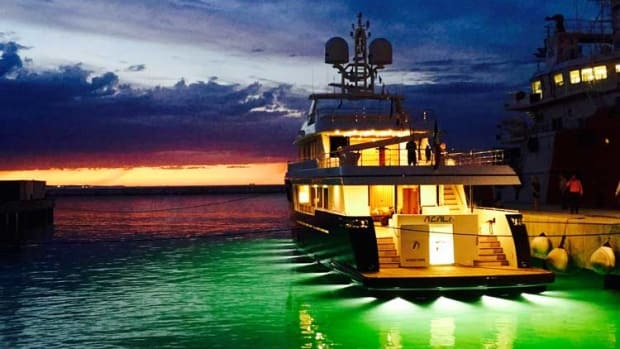 The new yacht, named Stella di Mare, has the same substantial beam as the smaller model, but an extra 10 feet (3 meters) of length, dictated by the owner, who liked the 86, but wanted more space. This has allowed Cutolo to make the bow sections finer and more slippery, and also to reshape the stern so it provides a little more lift under way. The result is a hull that is faster than the 86, but no less fuel efficient. Accommodations are organized along familiar lines—a midship master suite with proper seafaring portlights rather than fashionable hull windows, a VIP in the bow and a couple of twin cabins with extra fold-down Pullman berths. 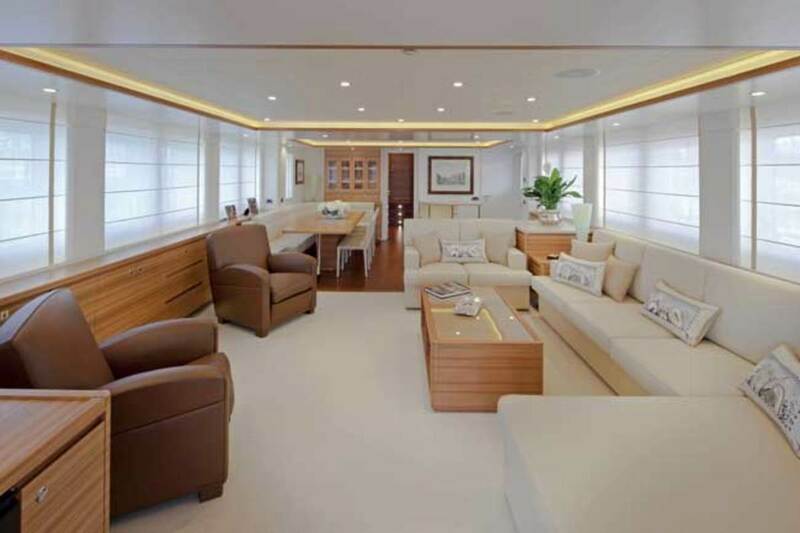 Wide side decks worthy of a little ship necessarily constrain the breadth of the deck salon. 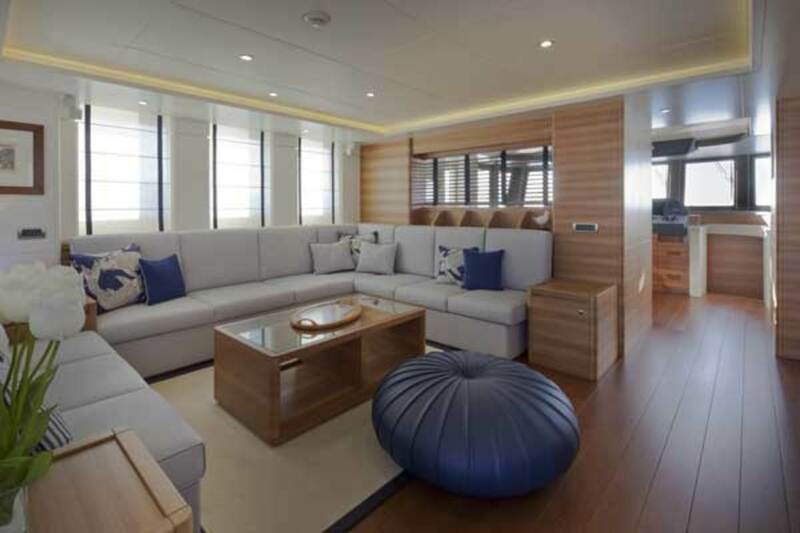 Nevertheless, it is a comfortable area with generous seating and a formal dining table forward on the port side close to the excellent galley. 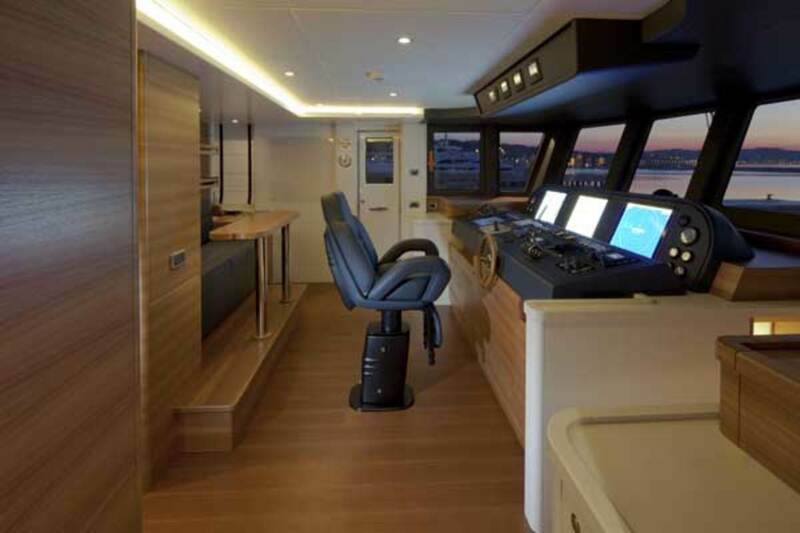 Up one level, there is a private skylounge behind the wheelhouse, another big dining table outside and space aft for a substantial tender of up to 19 feet (5.8 meters). 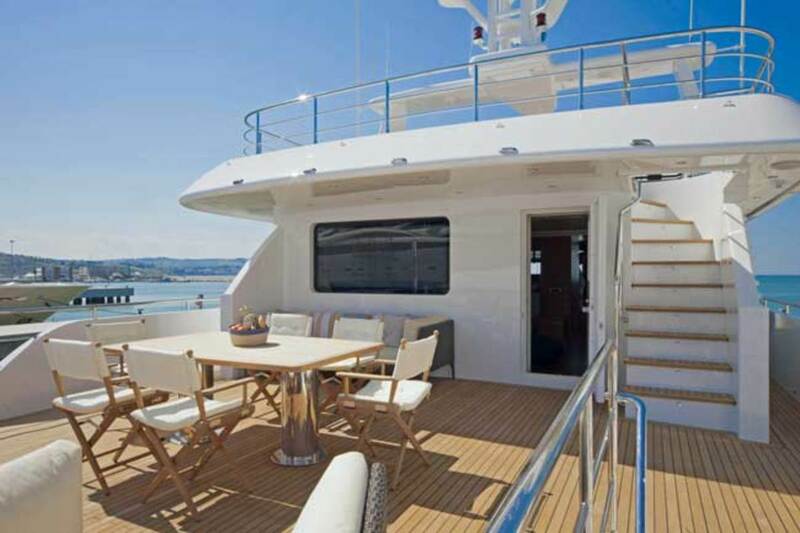 Higher still on the sundeck is an external helm station along with extra seating and sunbathing space. Like her predecessor, the Darwin 96 has an imposing presence alongside the dock, and that’s not just canny design. The hull is constructed from steel ranging in thickness from eight to 12 millimeters (⅓ to ½ inch), with a superstructure of aluminum. The highly polished steel plate protecting the bow is as massive as it looks—12 millimeters (½ inch) of 316L-grade stainless. Below the waterline, the build looks worthy of a battleship with substantial skegs to protect both propellers and rudders from grounding. Stella di Mare has non-standard engines. Her owner, who moved up from a fast fiberglass planing boat, decided that the 590 horsepower per side offered by the standard Cat C18s wasn’t going to be enough for a 200-tonner. He was wrong, of course, as he now acknowledges. 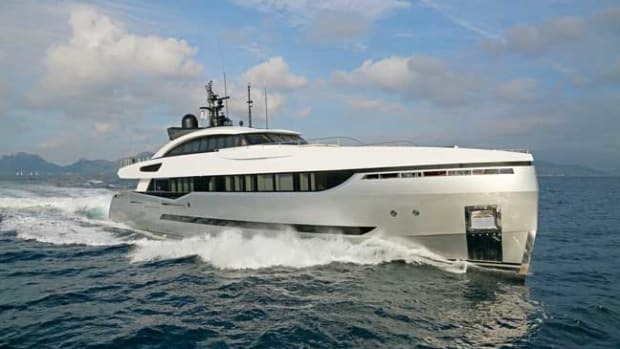 On our sea trial off Cannes, jaws dropped as we watched the MTU fuel consumption readout leap from 31 gallons per hour at a relaxed 1,460 rpm to 96 gallons per hour at maximum revs—an extra 65 gallons per hour just to nudge the log from 10 knots to 13. As Cutolo observed, the 96 is no different from most motoryachts in that respect. The owner might push the throttles home once to see how fast the yacht will go, then look at the fuel readout and never do it again. 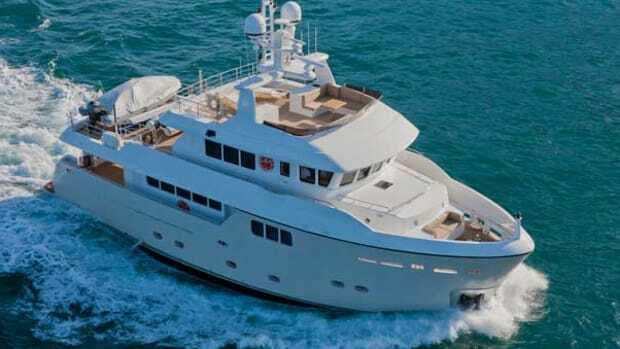 So 10 knots is an excellent passagemaking speed, providing the 96 with a cruising range of about 3,000 nautical miles. Drop back to 1200 rpm and 8.5 knots and you can double that. In the wheelhouse, perched 20 feet above the water overlooking that pugnacious bow, all was serene. The sun was going down over red hills on La Napoule’s side of the bay. It was so serene, in fact, that my sound meter seemed to have stopped working, so I took it down below to check it. 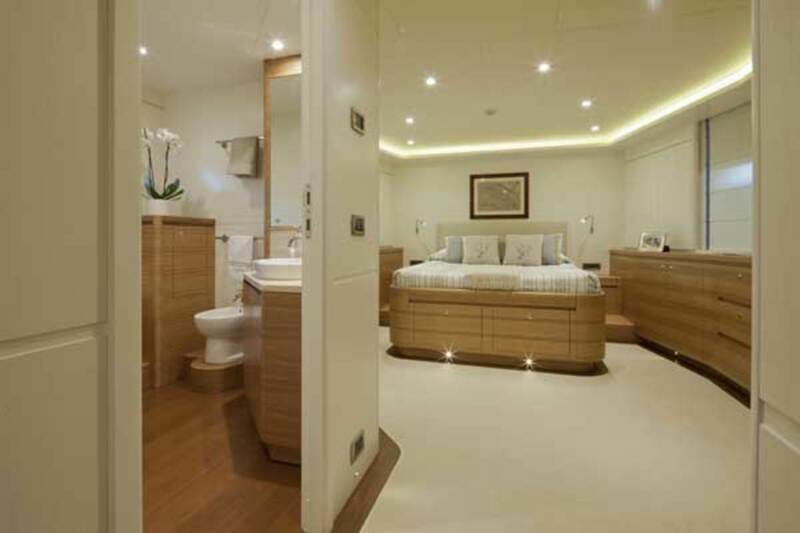 In the master cabin, amidships and adjacent to the engine room, it read just 55dB(A). Forward in the VIP, the level fell to 48dB(A). Of course, numbers don’t tell the whole story. The reality is that you’d be able to hear your partner breathing. And that is exactly how the Darwin people believe this yacht should be used. It’s a time machine, they say. Your weekend starts as soon as you arrive at the boat on Friday evening because you can just cast off and go. You can have dinner under way, enjoy the sensation of the sea slipping past and then sleep while your captain and crew do their work. When you wake up, you’re there. The anchor chain is running out and there’s time for a swim before breakfast. 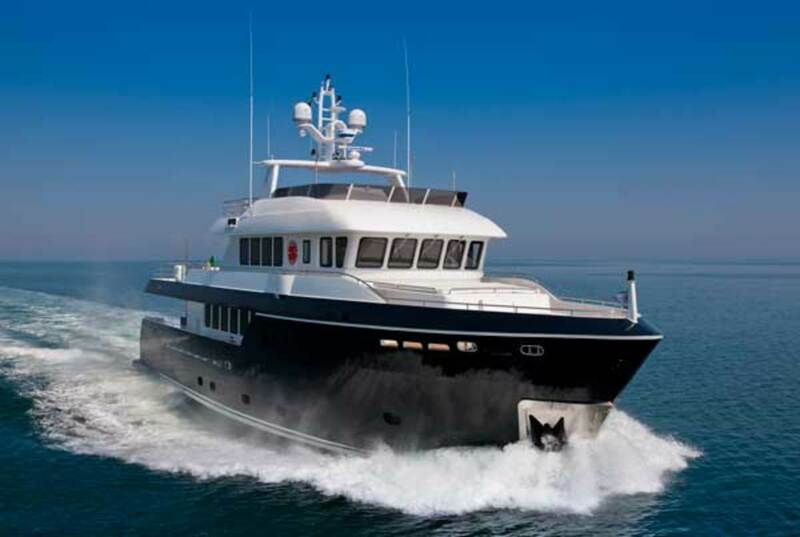 Planing and displacement cruising are totally different things, and the owner of Stella di Mare made the transition remarkably quickly. Anticipating a four-week cruise after taking delivery of his 96 last April, he soon got the bug and ended up spending the entire summer aboard, using the new yacht in exactly the way it was designed to be used. According to the captain, on a 5,000-mile voyage that took in most areas of the Mediterranean, the yacht entered harbor just five times. Its tremendous reserves of fuel are just part of the story, of course. Independent cruising would be impossible without the 96’s high-capacity watermakers and a truly stupendous storage capacity for food and drink. 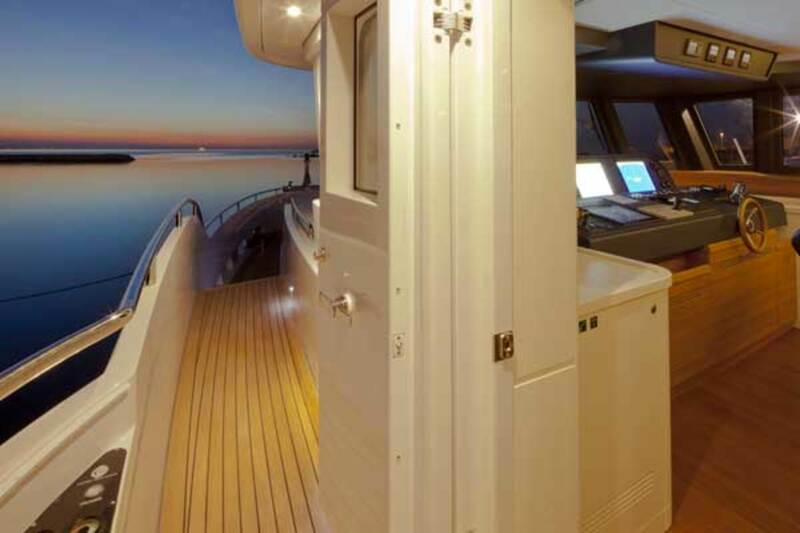 Long-range cruising is not just a question of priorities, but of getting the balance right. Stella di Mare’s wine cellar, under the steps in the lower corridor, is reputed to hold some 800 bottles. That seems about right to me.